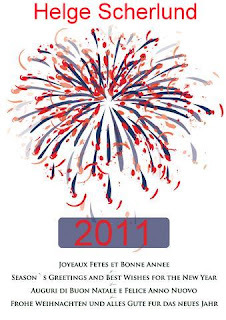 I would like to take this opportunity to thank all my readers and subscribers for your support and I hope that you continue to support my eLearning News with comments, suggestions in 2011. 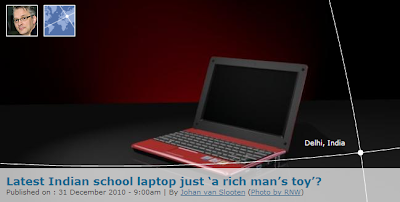 Latest Indian school laptop just ‘a rich man’s toy’? Indian computer manufacturer iBerry is about to launch a new laptop computer specifically aimed at schoolchildren and students. The eBerry EdBook contains educational tools and e-learning programmes and even offers an online tutor. But its retail price of approximately € 617 means millions of poor Indian schoolchildren will have no access to the new technology. Indian computer manufacturer iBerry is about to launch a new laptop computer specifically aimed at schoolchildren and students. The eBerry EdBook contains educational tools and e-learning programmes and even offers an online tutor. But its retail price of approximately € 617 means millions of poor Indian schoolchildren will have no access to the new technology. iBerry says creating a “virtual classroom” will make knowledge more accessible to students. 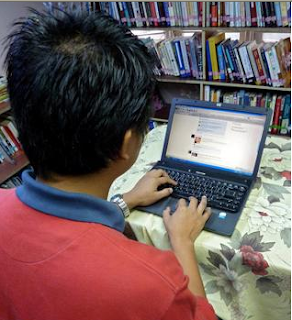 “It is more fun to learn something from a laptop than from old fashioned books”, a spokesperson for iBerry told RNW. “It can make learning rich, interesting and vibrant. Students can throw their old school books and bag away”. The concept of an online tutor is, according to iBerry, its strongest point. Students can learn while their online tutor gives them instructions or keeps an online eye on their work. The laptop also prevents its users from straying away on the internet while studying – users can only access special e-learning tools and programs, while general internet content will not be available without entering a password. These passwords will only be given to teachers and parents. Click here for a demo of the eBerry edBook. 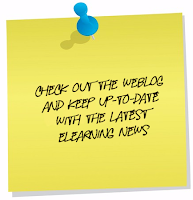 The e-learning Newsletter brings you news about current issues, open calls, forthcoming events and e-learning resources.Take a look at this interesting line-up below. Call for papers on Open Education: Changing Educational Practices. The purpose of the 23rd issue of eLearning Papers on Open Education is to further our understanding of the way in which open access and open educational resources affect educational practices in organisations and for learners and other stakeholders, both today and in the future. Guest editor: Ulf-Daniel Ehlers, University Duisburg-Essen. Deadline: 22 January 2011. ELEARNING PAPERS SPECIAL EDITION 2010. Breaking down the silos,Transforming education through innovation and technology. For this special issue, eLearning Papers focuses on innovation, networks and collaboration. We understand technology as a means to share, build, inspire and transform learning practices in our knowledge society through continuous innovation. DOSSIER: ELEARNING PROGRAMME 2000-2006: THE LEGACY. The eLearning Programme was set up for the effective integration of ICT in education and training systems in Europe, contributing to the quality of education and training and to Europe’s move towards a knowledge-based society. 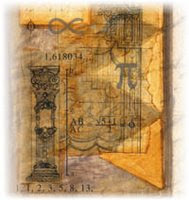 The dossier highlights several of its positive achievements, featuring project descriptions, interviews, documents, etc. e-KNOWNET aims to develop an innovative and viable mechanism enabled by information and communication technologies (ICT), able to facilitate the flow of new scientific knowledge from the research laboratory to larger, non-expert segments of society, in forms suitable for non-formal learning. LEARNTEC 2011 - International Trade Fair and Convention for Vocational Education, Learning and IT. 1-3 February 2011 (Karlsruhe, Germany). The LEARNTEC convention is the only one in Germany that offers a look at the future of the e-learning and education industries, presents successful education projects from the world of business and links these to the products and services offered by exhibitors at the trade fair. THE WORLD OF LEARNING CONFERENCE AND EXHIBITION 2011. 27-28 September 2011 (Birmingham, UK). The World of Learning Conference and Exhibition is the essential event for all senior learning decision-makers and buyers. Now is the time to ensure you are using the most cost-effective methods and solutions to deliver more successful learning results. Transnational Report on the "Use of Media Education"
Please have a look at this issue of eLearning Papers. Dietmar Albrecht and Tapio Koskinen writes, "According to some estimates, more than 80% of all learning occurs on the job rather than in tertiary and post-tertiary education. In order to stay relevant and contribute to the human capital of future workers, learning will need to be tightly incorporated in work processes and become an integral part of workers’ and managers’ everyday activities. The same applies to (on-the-job) teaching and instructing, which is increasingly becoming an integral part of subject matter experts’ job descriptions in many companies. As a consequence, knowledge workers are not only on the demand side of on-the-job learning scenarios. They participate in the development of content and often in its delivery as well. 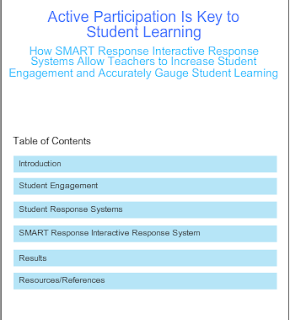 This brings new challenges to the integration of learning and work." By Cornelis Adrianus (Kees-Jan) van Dorp, Alfonso Herrero de Egaña Espinosa de los Monteros , Sirje Virkus, Angelique Lansu, Maria Kocsis Baán. By Nils Ove Lennart Jobring, Ingemar Svensson. By Petra Newrly, Tony Toole, Simona Pede. Here’s the latest Technology & Learning's eBooks below. 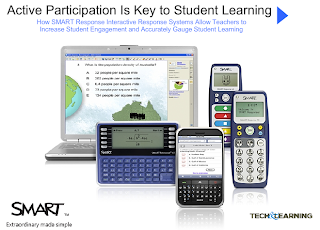 Student response systems help teachers turn classrooms into places where students are engaged, fulfilled, and in control of their learning. A competencE increase of 14% in mathematics was recorded after the second phase of mobile phone supplier Nokia’s Mobile Maths project, which ran from October 2009 to December 2010. A total of 4 000 learners from 30 schools in three provinces had access to Nokia’s Mobile Maths service during this period to practise mathematics, test their skills by competing with other learners in mathematics and collaborate on maths- related problems with their friends. The project was initiated in October 2008 and received significant positive response from learners, teachers and schools, particularly during the teacher strike earlier this year. Since its inception, the initiative has shown that access to the service outside school hours accounted for 82% of total access and, in 24 weeks, 62 849 mathematics exercises were attempted by these learners. However, the main aim of the project is to offer the service to learners free. This was made possible by the strategic partners who joined Nokia in the initiative, including the South Africa-Finland Knowledge Partnership on Information and Communication Technologies, the Department of Basic Education, free instant messaging application MXit, school publisher Maskew Miller Longman and cellular network providers Cell C and MTN. Cell C corporate social investment manager Mercia Maserumule says that the company has always chosen projects that invest in the youth of South Africa. “We believe that mobile technology can play a significant role as a tool for teaching and learning, as well as closing the digital divide. “The mobile maths learning pilot programme is an innovative solution and Cell C is proud to be part of a project that contributes to positive change in the country,” she notes. 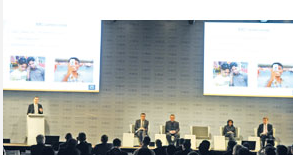 The roles being played by communication tools, in particular mobile phones, in imparting learning lessons to communities across the world were highlighted by speakers at a session on “education through mobile devices” held as part of the World Innovation Summit on Education (WISE) yesterday. Recounting their experiences on how mobile phones have revolutionised lives of people in different parts of the world, each of the four panellists said the communities that they served stood to gain considerably from the mobile e-learning programmes in which they were involved in their respective territories. The session moderated by Director of Research and development of the Cambridge Foundation (UK) Dan Buckley featured, among others, former prime minister of Finland and executive vice-president (Corporate Relations and Responsibility) of Nokia Corporation Esko Aho, and head of programmes for Asia of the BBC World Service Trust (UK) David Prosser. A manager at Nairobi’s iHub, which is acknowledged as Kenya’s Innovation Hub, Colaco said the Mobile Boot camps held in her country helped create an innovative culture among the country’s youth, especially the university students and more than 500 active trainers have emerged as a result of the camps. M-Pesa, an educational programme launched in 2007, has so far attracted more than 11.5mn people, or roughly 30% of the Kenyan population. Through the programme, money transfer service is provided to the people in and outside Kenya, said the speaker. How do we transform our education system to prepare our students for the world and challenges of tomorrow? ﻿ A few weeks ago, in mid-November, I had the privilege to once again attend and speak at the Virtual School Symposium, iNACOL’s annual online learning conference, which looks toward this very future. As usual, it was a great conference—for my two cents, it’s consistently the best education conference year after year. The energy is infectious. The focus is on the student. And, in classic disruptive fashion, amidst tough budget times, it—and the sector more generally—continues to grow. The continuing innovation in the field is thrilling as well, as the title of the conference suggests. 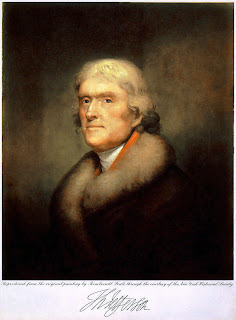 I hope the field does do better, and the topic of always improving quality and transforming the system toward a very different end from the one when Thomas Jefferson was alive—not to mention from the time of the industrial revolution—remains at the forefront of the conversation. If in 2019 50 percent of all high school courses are delivered online, for example, but it is still largely stuck in our current flawed, monolithic system that is designed to sort students out, online learning won’t have proven to be transformational in the way the country and its students so sorely need it to be. From creative writing to the performing arts… there's practically every kind of course you can pursue online. Sruthy Natarajan (10) lives in Singapore and takes singing lessons in Chennai three times a week without having to leave her room. A little over a decade ago, this would have seemed far-fetched but thanks to high speed Internet connections, the old rules about mutually exclusive life choices no longer apply. A sales executive with no writing experience doesn't need to give up his fantasy of becoming a novelist, and a techie who's relocating to California can continue her violin classes in Mylapore. Online modules on everything from creative writing to the performing arts are available at a click and the cost ranges from zero to expensive depending on what you're hoping to accomplish. While some of these programmes are fixed, with virtual classrooms and homework, and result in a degree being awarded at the end of the course, others involve private tutors giving customised lessons. A third kind and perhaps the most recent is P2P or peer-to-peer education that is provided free of cost by instructors who want to hone their teaching skills. In a society that's yet to warm to the concept of a gap year at any life stage, e-learning is a great way to pursue a dream without letting go of conventional paths — all it takes is a steady broadband connection, and an eye on the prize. • Determine the primary goal – is it to acquire a new skill, supplement your résumé with a formal degree or explore an alternative career? Click here to receive an e-mail reminder for this live event. Much recent education policy has focused on recruiting bright new teachers and dismissing poorly performing ones. But what about the majority of educators still in classrooms who need help? Join Education Week and a pair of professional-development experts for a conversation about what best practices consist of and how districts can think systemically about PD goals, strategies, and spending. 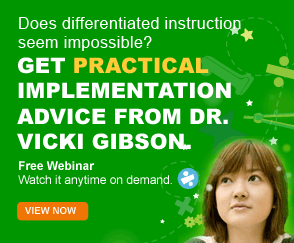 Watch this informative on-demand webinar that provides practical advice from one of the nation's leading education consultants, Dr. Vicki Gibson. Dr. Gibson, chairman and CEO of Gibson Hasbrouck & Associates, brings an incredible depth and breadth of experience to the topic of differentiated instruction and will identify changes in behavior and practice that can lead to improved teaching and student outcomes. Sign up for this free chat now. We'll start accepting questions at least one hour before the chat starts. 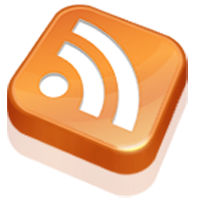 Today I have Mark Davies guest blogging. Please be sure to check out his unique guest post. Guest posts are always welcome, please contact me. Everything’s going the “e” way today – from the way we communicate to the way we learn, computers are taking over every aspect of our lives. The rapid advances being made in the world of technology have revolutionized the world of education and brought about many unconventional, yet convenient changes. We are more dependent on bits and bytes today than books and paper, and unless something dramatic happens to wipe out technology forever, there’s no going back to the way things used to be. More and more people are taking to e-learning nowadays – from children in regular classrooms who use e-learning to augment their face-to-face lessons to adults who learn how to use the Internet and computers to facilitate their back to school efforts, e-learning is making inroads into every aspect of education. And from the look of things, the future looks bright for this method of learning because it keeps morphing from one form to another fluidly and in a timely manner. The biggest boost for e-learning comes in the form of mobile technology – with more and more mobile devices coming out each day, each with its own sophisticated functionality, it is now possible to learn on the go. Lessons and lectures are pushed to your smartphone or other mobile device, and you can use any free time you have to go through them and stay up to date with your coursework. The other advantage of mobile learning is that it facilitates user-driven knowledge – when you’re connected to the web via your phone, information and knowledge is just a heartbeat away, no matter where you are. And then there’s social learning – it facilitates a powerful learning experience through online communities and networks where learners co-create, collaborate and share knowledge; they learn and teach simultaneously. Social learning is becoming immensely popular these days, and even though it may be not be accepted as a formal learning methodology, it is one of the best ways to pick up skills that help you utilize information for analysis and decision making. E-learning in traditional classrooms is still on the fringe, and for it to become fully integrated with mainstream academia, teachers and educators have to gain a whole new skill set and adopt a completely different mentality that allows them to support and promote learning through technology. It’s not something that’s going to happen overnight, yet the prospects exist for it to get there slowly and steadily. While the acceptability of e-learning is low in the professional world where employers still prefer degrees from traditional colleges, it is rapidly gaining popularity in the sphere of corporate training. More and more companies are going the e-learning way to train their employees and bring them up to speed with the way things are done around their offices. E-learning allows them to bring into effect just-in-time learning, a methodology that imparts just the right kind of knowledge, at the right time and the right place. The prospects of e-learning look bright, and as long as technology continues to advance, e-learning too will move forward on a proportional level. “I am a Phoenix.” You’ve seen the billboards, now meet the man… Mark Davies. I started onlinemastersdegree.org in 2010 as a non-profit site after people continually asked me about what my experience with attending an online college for obtaining my masters degree was actually like. A lot was positive, some not so much, but I found people were so intrigued with talking to someone who had actually gone through the process of selecting and attending an online masters program that I would create this website. This site is very much a continuing work, but it aims to be an informative and unbiased resource that prospective masters degree students can use to learn about their options when it comes to online masters degree programs and have a greater ability to make the right choice for them. I’m trying to get the word about about the site, and so far, I’ve gotten a bit of positive feedback which has been helpful in giving me ideas for future growth, so I encourage you, if you have any comments – positive or negative – to email me at: info-at-onlinemastersdegree-dot-org. This guest post is contributed by Mark Davies, he writes on the topic of Online Masters Degree . He welcomes your comments at his email id. Stephen writes on The Huffington Post, "The problem with focusing on the role of the teacher, from my perspective, is that it misses the point. Though there may still be thousands of people employed today with the job title of "teacher" or "educator", it is misleading to suggests that all, or even most, aspects of providing an education should, or could, be placed into the hands of these individuals." A couple of weeks ago I went through an exercise with one of Alec Couros's graduate education classes. I asked about the idea of multiple roles in education to Twitter readers and gathered a set of them. I then took this set and went through it with the class online; as I talked about the roles, the students defined them, added examples, and identified who would perform the tasks described. The result was a unique -- and colorful -- slide show exploring the evolving education profession." View more presentations from Stephen Downes.